Semi formal attire usually means cocktail attire. However, there is a difference in colors and fabrics based on the time of the day and the type of the wedding. If it’s a daytime event go for light colors and fabrics. Weddings at a country club or garden weddings should also be considered as daytime events. While semi formal events involve elegant and sophisticated attire, men are not required to wear tuxedos. White tie or black tie dress codes should also not be used unless specifically stated in the wedding invitation. When the wedding invitation states semi formal attire, men can wear a suit and a tie. They can wear their business suits which are of good quality. The suit can be either dark or light depending on the time of the day, season and the venue (indoors or outside). If it’s an evening wedding, wear a dark color, if it’s a daytime event, you can wear a lighter color. When you are choosing a shirt that goes beneath the suit jacket, make sure what you have chosen is a dress shirt and not a casual or sports shirt. White is a standard color for dress shirts since they will match any suit. Wear matching patent leather shoes that match the leather of your belt. Black and brown are common colors for shoes. Men’s accessories should remain understated. Women can wear cocktail dresses for semi formal weddings. They can also select a chic skirt and a matching top. Short dresses, knee-length dresses, halter dresses, and even little black dresses can be worn to a semi formal wedding. But, ball gowns or floor length evening gowns which are usually worn for formal events are not appropriate for this type of event. If it’s a summer wedding, use more colors, especially pastel colors. Floral prints and light fabrics can also be worn to such weddings. Women typically wear heels to semi formal events, but if you want to wear flats, make sure they are made from shiny material and have embellishments. Women can also use matching jewelry, purses, hats, etc. Semi formal attire for a wedding is roughly equivalent to cocktail attire. 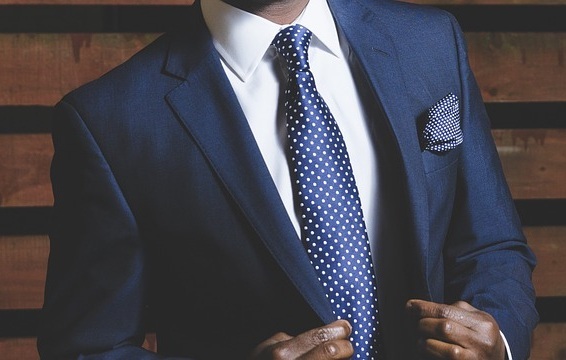 Men can wear dress shirts, business suits, ties, and shoes. The color and fabric can depend on the time of the day, venue and season. Women can wear a cocktail dress or chic skirt with a matching top. The color, design, and fabric would depend on the body shape, time of the day, season and venue.